An easyJet service from Paphos and a TUI flight from Lanarca were diverted to other airports before Gatwick's stand-by runway was opened. No-one was injured in the incident and passengers were able to disembark the plane a short time later. 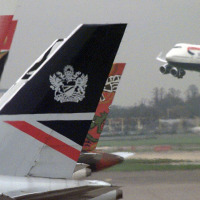 A spokeswoman for Gatwick Airport said: "A British Airways flight that was inbound from Naples to London Gatwick landed with a technical fault, which resulted in the aircraft stopping on the runway whilst an inspection of the aircraft took place. "During this time, our runway remained temporarily unavailable while we switched over to our stand-by runway. "As a result of the runway being unavailable, a number of aircraft diverted away from Gatwick." A spokeswoman for British Airways added: "Our flight landed safely after our pilots requested a priority landing as a precaution after a technical fault. "The safety of our customers and crew is always our top priority, and our engineers are currently conducting a thorough check of the aircraft." Make sure you've done everything you can to guard against the unexpected by taking out travel insurance before jetting off.